Some people only want a cat because it seems like a much simpler acquisition than a dog. Most cats are found to be cheaper than dogs, even when given away for free due to the enormous amount of litters that are produced throughout the year. However, while this may be the cheaper of the two when it comes to purchasing, that's not always the case when you'll have all of the responsibilities that come with owning your own pet. You may be asking yourself “Should I get a cat?”, this guide will help you determine if you're truly ready for joining the ranks of cat lovers across the world. While you may not have to take your pet on walks every day, if you decide to get a cat, there are many things that will still take up your time. For example, cats are notorious for waking their owners up when they need something such as food or water. Where your dog may quietly sit at the foot of your bed and wait patiently, a cat is more active. Cats are not afraid to invade your personal space to get what they want out of you. This can include some of the most inconvenient times in the middle of the night when they just want an afternoon snack. On top of cats being very persistent roommates, there is the dreaded litter box duty. To be honest, litter boxes get to be quite gross and unless you're willing to put down some serious money on an automated one, you will have to clean it. If you decide to get more than one cat, you will need additional litter boxes, which means double the trouble during cleaning times. You will also have to remember to clean your litter box every day to make sure it smells fresh and your cats have a clean place to potty. While this doesn't take long, some people may find it a hassle to have to clean a box each and every day or they may find it to be outright gross. If those two bits aren’t enough to chase you away, then you're doing great so far. Next up, we have the fact that a cat will try to play with anything that looks fascinating. For girls, this means that your hair bows will disappear more often than ever before. 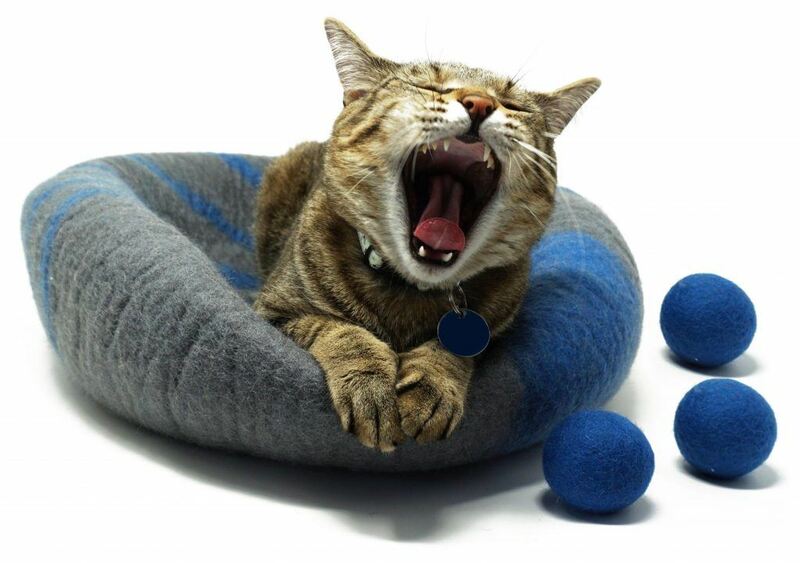 Cats have a bad tendency of dragging out anything that looks fun and they can get their mouths around. If they can't drag it out, often you have a potential of clawing, which makes things like leather furniture out of the question if you plan to own a cat. If you're considering getting a cat, look around your house and think if you could really live with something that could potentially claw at your furniture from time to time. Next up, you need to decide if you would be willing to keep a cat inside. If you end up wanting both an indoor and outdoor cat, be prepared to constantly help your cat switch from one environment to the next. Cats are finicky and sometimes just can't quite make up their mind as to where they want to be. This can cause you a lot of pain if your cat is both an indoor and outdoor pet with getting them to decide which one they'd rather be in. 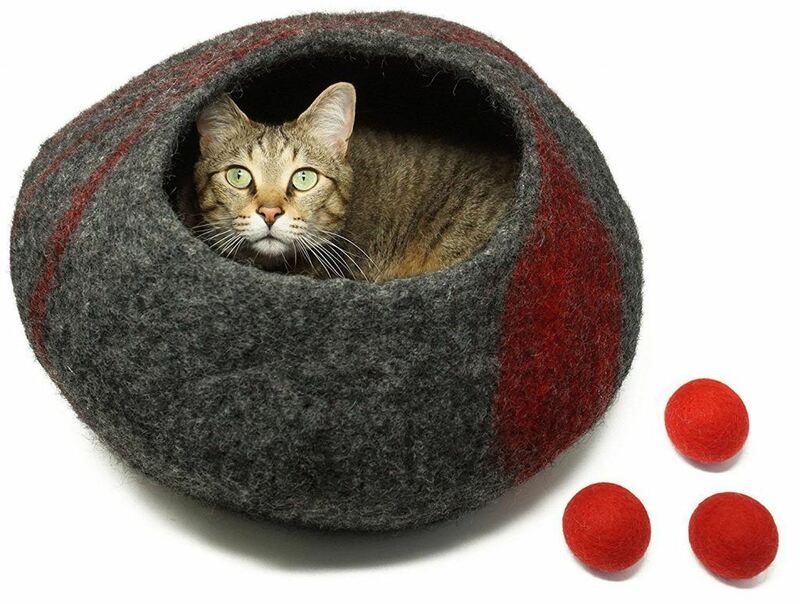 If you decide to make them an indoor-only cat, be prepared to spend money on toys. These toys keep them from scratching up furniture and give them appropriate hunting skills they need to keep sharp. If you leave your indoor cat without toys or a scratching post, then destruction is sure to follow. 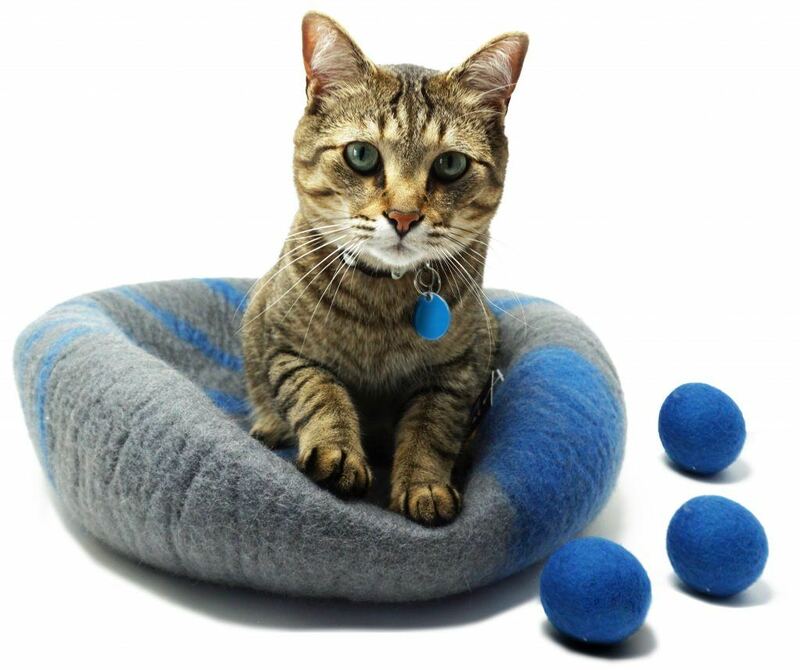 Toys to entertain your cat aren't always expensive, replacing them and affording scratching posts, however, can raise the price after a while. 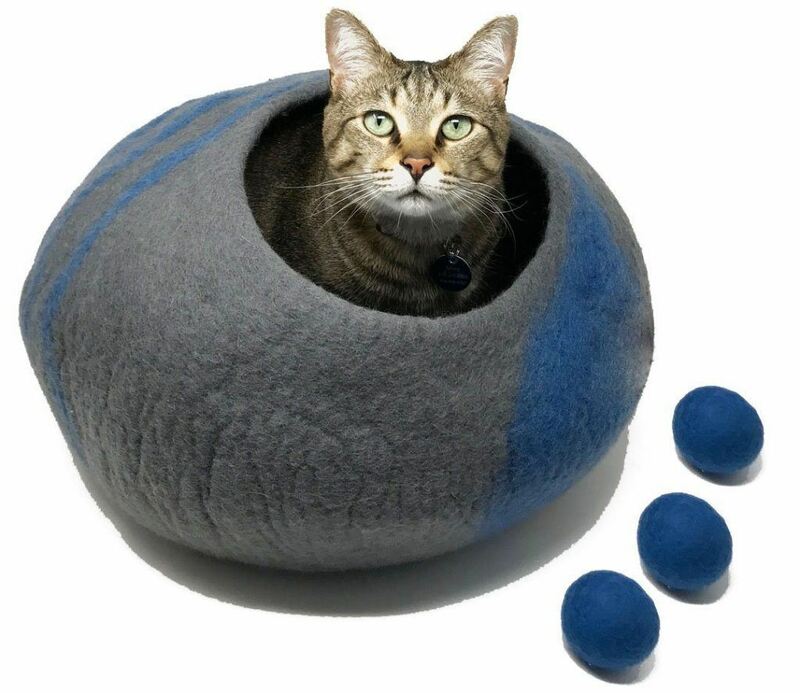 Be prepared to bring your new cat home with lots of supplies to keep them entertained as well as a scratching post and a comfy place to sleep. If you are up for an outdoor cat, then be prepared to spend money on flea and tick medicine as well as any shots they may need to brave the outdoors. On top of this, you will need a collar with a tag for your pet and need to keep it updated regularly. It is also strongly advised that you get a chip implanted into your pet just in case he or she goes missing. Having an outdoor cat can be costly as well and you should be prepared to spend a little bit of money. Also, taking into account where you live, if you feed a cat outside, you may attract other animals to your home such as raccoons or other stray cats. If this hasn't scared you off, then it's time to consider what you want out of a cat. Would you like a cuddler or a lazy buddy to just lay around the house with you? Maybe you want a playmate or somebody who's extra energetic to keep your kids entertained. Cats are great friends to have and can be just as loyal as dogs if you pick the right one. Every cat has a different personality and it's up to you to decide which one will mesh best with you and your family. Be sure to look into the different breeds of cats and understand what their personality traits are. All cats have different grooming needs, especially depending on their hair length. You’ll want to make a decision of what you're willing to do when it comes to grooming. Cats with long hair will need brushing everyday much like how some dog breeds even need that from time to time. This can get frustrating as cats don't generally like water and will fight you during their bath. Make sure to take grooming into account when planning out whether you want a pet with short hair that requires less maintenance and can fit into a busy schedule or a long haired pet that will require some extra attention. When you have your perfect cat in mind, be sure to look around. There are many rescue organizations and pounds out there that have free or discounted cat days that will let you browse around and meet the cats before adopting them. Many newspapers and pet sites will have local ads for free kittens that need homes as well. Before you bring one home, make sure to spend time with each one of them to see how well it will work out. Never rush a relationship with an animal and take time to ask questions and get to know them to see if you should get the cat or not. Also, be ready for vet check-ups after you get the cat to make sure they're in good health and if you adopt from a shelter, this may be a requirement within the first few weeks. Deciding if you're ready for cat ownership or not is very much a personal answer. Make sure to take everything mentioned above into account. Wild cats may be cheaper for you but will need a substantial amount of money to get started and get them checked out by a decent vet. While some of these things may not exactly be fun, it's a great start to having a healthy happy life with your new pet. Just make sure to take time with each cat you meet to see if they'll work in your home. Never rush anything or let anybody rush you when getting to know an animal. If you're ready for the responsibilities and can handle everything from this guide, then you just may be ready to get a cat.